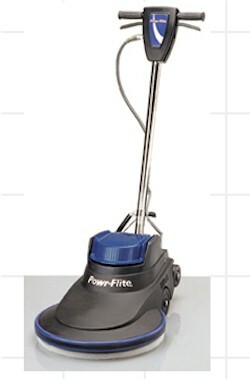 Powr-Flite has been a leader in the commercial cleaning business for over 30 years. Started in 1967 as a vacuum cleaner parts distributor, the organizations rapid growth and aggressive nature became its trademark. In 1986 we developed and introduced the first Powr-Flite branded line of floor machines and burnishers. The company quickly evolved into a full manufacturing facility with over 20 patented designs for commercial floor care equipment. Technology, innovation, performance and value have long been the backbone of Powr-Flite product offering. This standard of quality has defined Powr-Flite as a world leader in commercial cleaning equipment. Acquired by Tacony Corporation in 1996, Powr-Flite is advantageously positioned as “the one source” for commercial floor care equipment parts and supplies. Today, from our headquarters in Ft. Worth, Texas we are shipping quality Powr-Flite equipment worldwide. Our state of the art facility and procedures help us provide our customers with the quality they have grown accustomed to. At Powr-Flite we have a new attitude. We haven’t changed our philosophy of putting the customer first; we are just pursuing it with a more aggressive attitude. It is part of our "We Fight Dirty" commitment to providing the best possible value in floor care equipment, parts and supplies. The new millennium provides more business opportunities than ever before and we want you to be there. With Buying-Powr you can take advantage of the new challenges and be more productive, more efficient and more profitable! Use Buying-Powr to increase your business NOW!